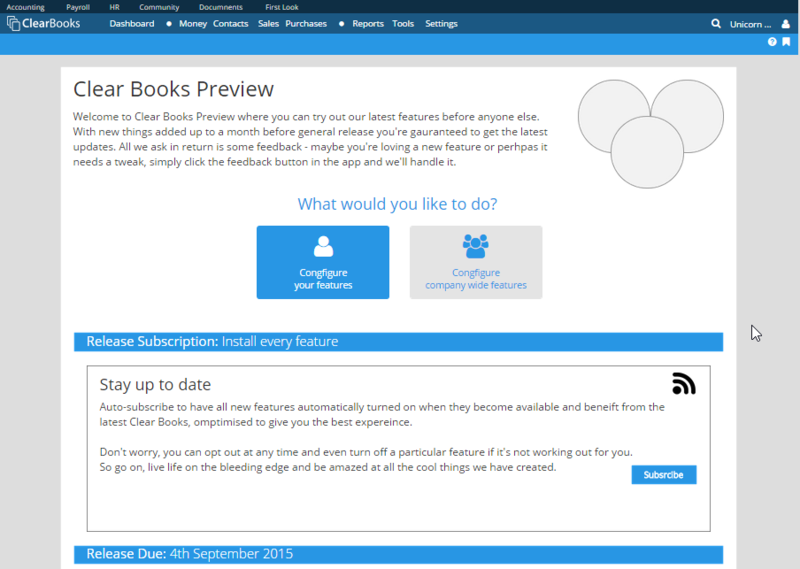 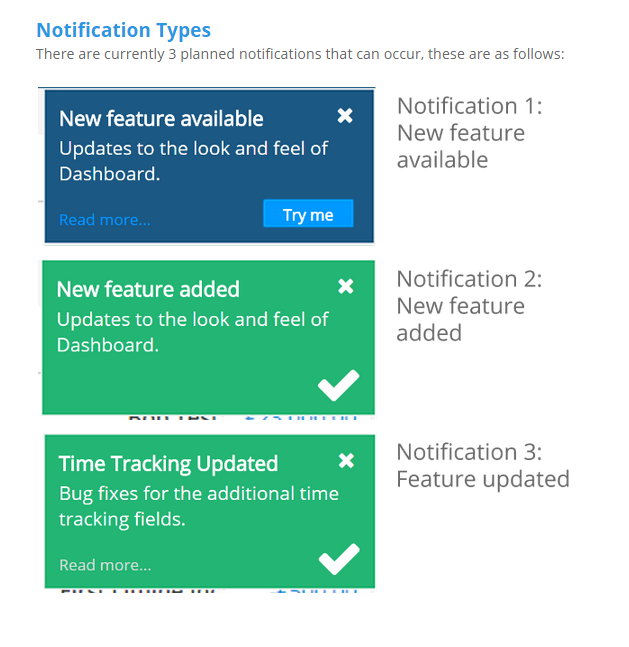 Preview is a release platform for customers to get access to the latest features, 1 month early. 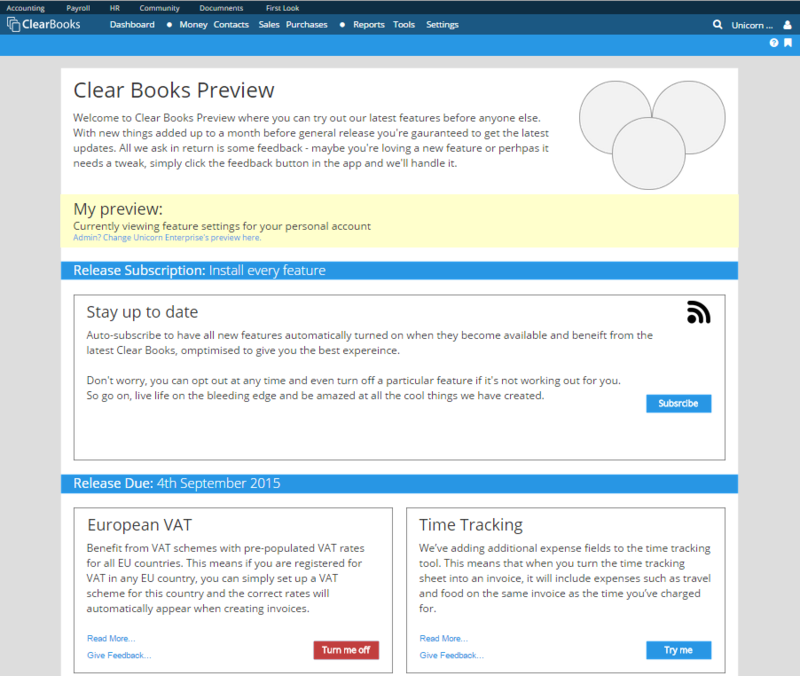 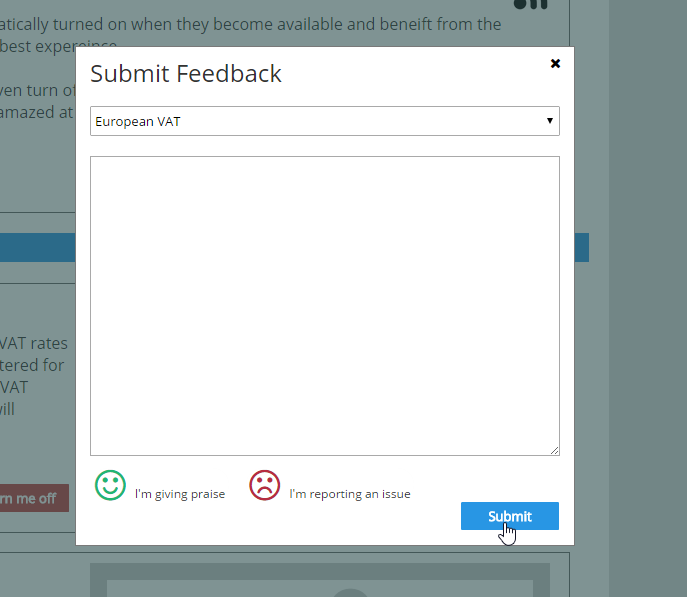 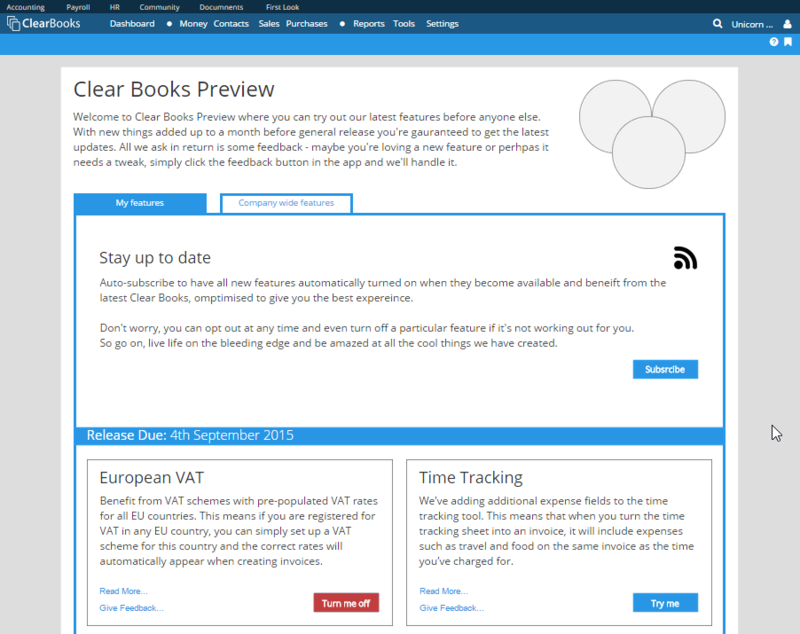 The aim was to aid better communication between Clear Books and their customers who were often surprised to find their interface updated. 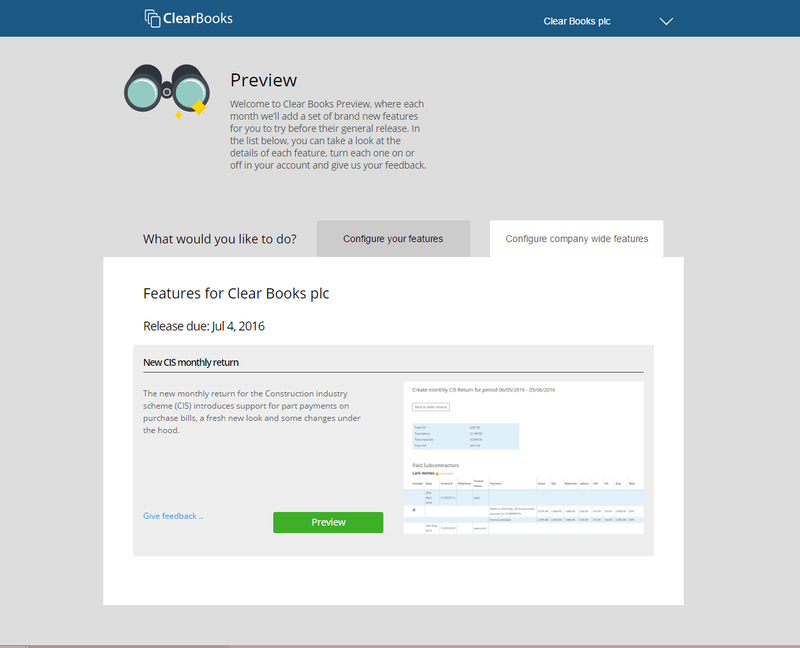 Having come from desktop software such as Sage, many had yet to grow accustomed to the frequent updates that cloud software provides. 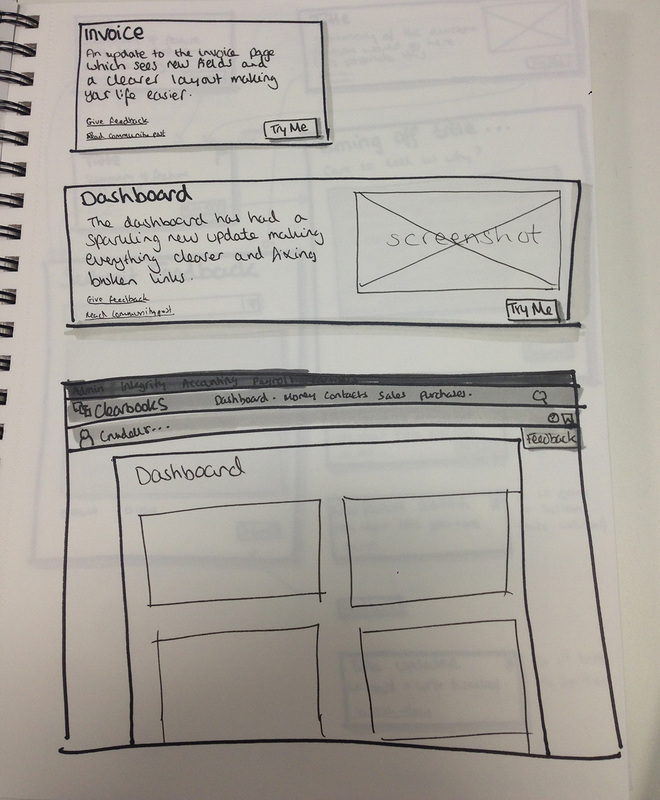 I was responsible for gathering requirements and taking care of the UX. 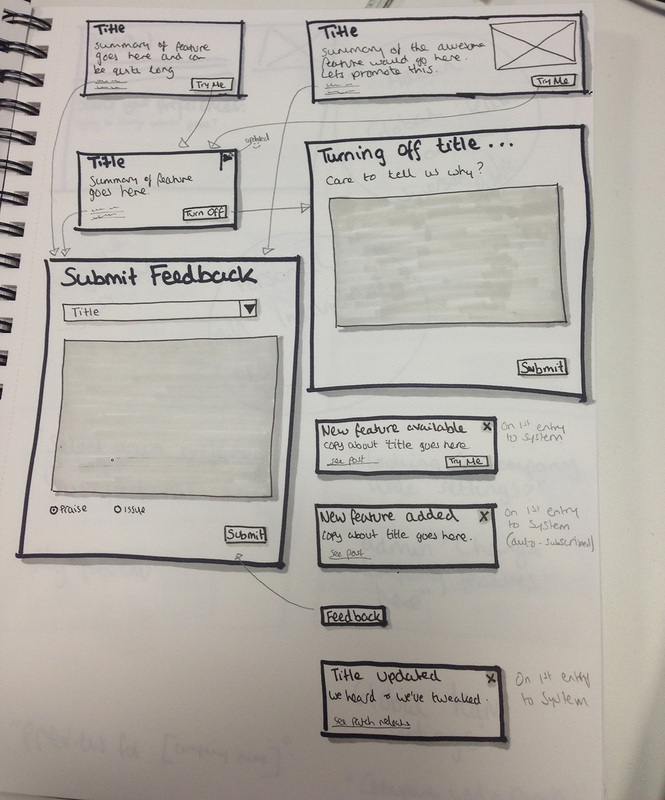 I mapped out the ideal process from internal to external communication. 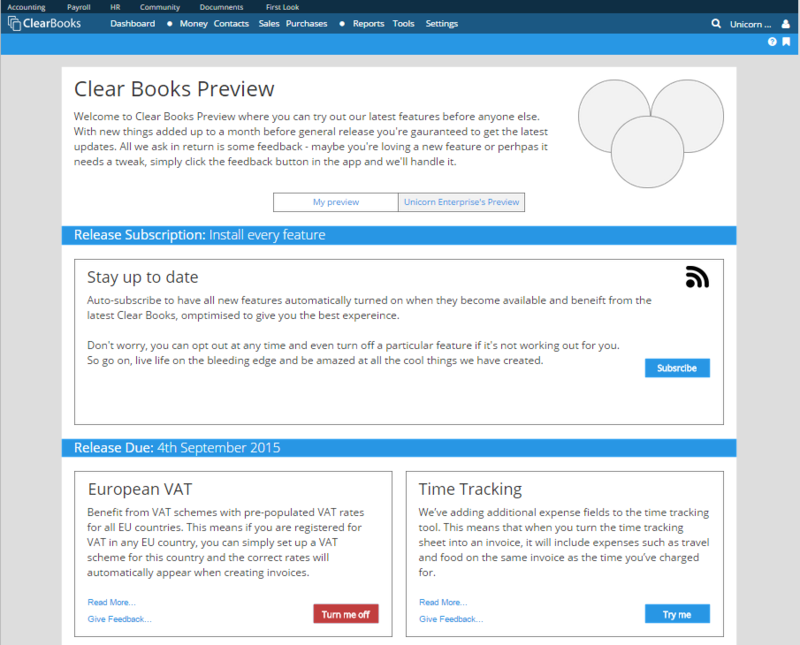 Facilitated brainstorming sessions, sketched various ideas, designed several iterations of wireframes and wrote the final specification for the platform. 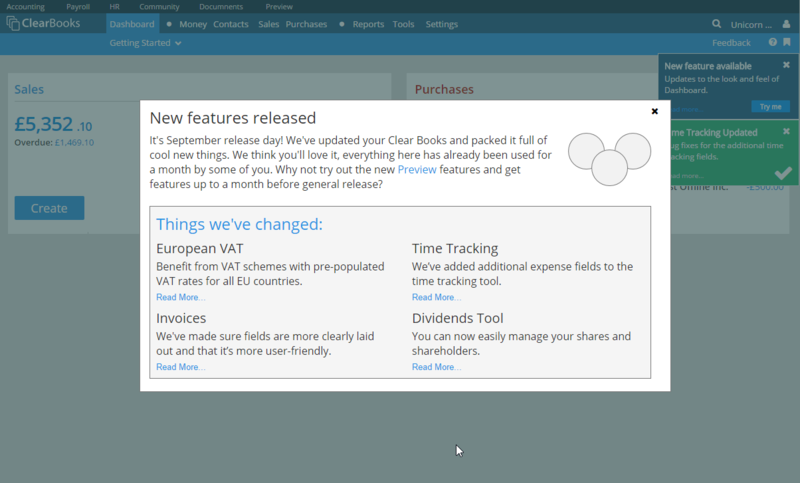 Once the project was 'complete' I became the owner of the Preview process, ensuring smooth releases each month and wrote supporting communications such as blog posts, community posts and emails.